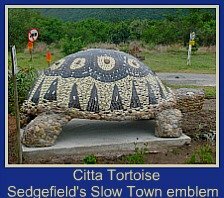 Smutsville local talent to be proud of! Young Houghmordeen Jansen better known as Holmes started life in a tough neighbourhood with what most people would acknowledge as the odds stacked against him. However, a special talent revealed itself to him in primary school. 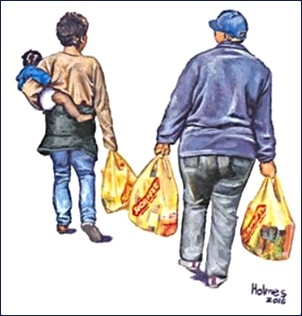 As time went by this gave him the encouragement to strive for a better life and the self-belief to persevere in spite of hard times he experienced at home and the poverty and joblessness he witnessed in his community. Intelligent and artistic, he is the second of four children. He has an older sister, Nifah and younger brother and sister, Maurice and Whitney. Under trying circumstances both his mother – a single mom and his grandmother have managed to keep the wolf from the door, putting food on the table and paying school fees. Both adult figures have instilled in Holmes a sense of faith and fortitude. Early on he showed his resourcefulness when he drew sketches of people then badgered them to buy their own off him for a small fee. 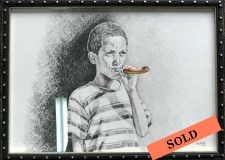 In junior school, he raised funds to go on a school trip by drawing cartoons of clowns that people were willing to pay R2-00 for. “They were popular and I did a lot of those.” he said! 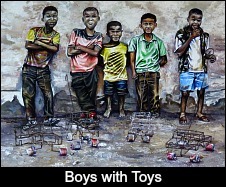 He won prizes throughout his school-life for his art that culminated in winning a medal for “best artist” in the school. 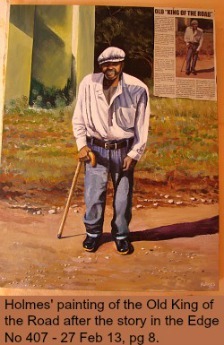 He also won 3rd prize in a Cape Schools' contest for his picture of AIDS sufferer, Nkosi Johnson. 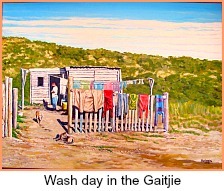 One day the teenager was walking to the beach when he noticed Sue Watson’s Gallery on Kingfisher Drive was holding an exhibition. He changed direction to go take a look and spent some time viewing the exhibits and speaking to Sue. He then began to pester her to give him art classes. 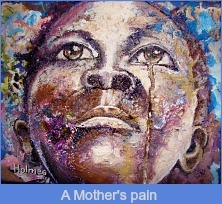 Eventually his persistence persuaded her to give him some paint and materials, and offer him some guidance. She also critiqued his artwork. Later, she even held an exhibition of his work. I met Holmes when he rang our house bell as a Census worker in October 2011. He was invited in and took immediate notice of some of our pictures. When he showed me some of his own on his cell phone, I recognised that he was someone special. We have stayed in touch since then. After obtaining his matric, he lacked funds to continue studying and struggled to find employment, ending up doing piece jobs in George. He has despaired of his future at times and it’s been my role on a few occasions to encourage him to stay optimistic. 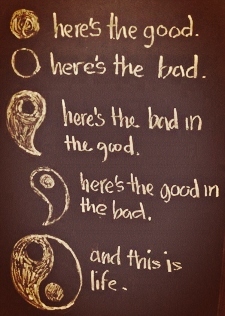 I believe our own thoughts and feelings manifest our reality. Einstein said "Imagination is more powerful than knowledge." In our greatest challenges we have the opportunity to discover our greatest gifts. 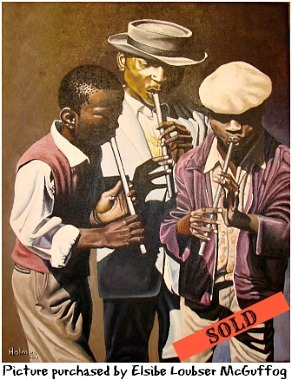 Holmes' art has remained a source of emotional expression, self-upliftment and commitment to his talent. 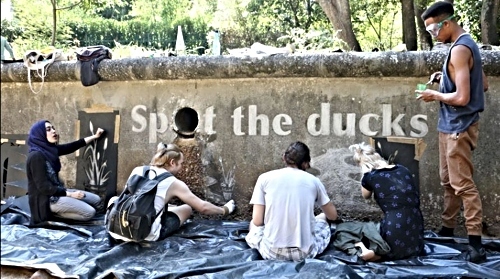 His work has matured and developed a unique identifiable style, the indication of a true artist. In his own words “Throughout the years growing up with my people I am continually inspired by their stories and lifestyles. 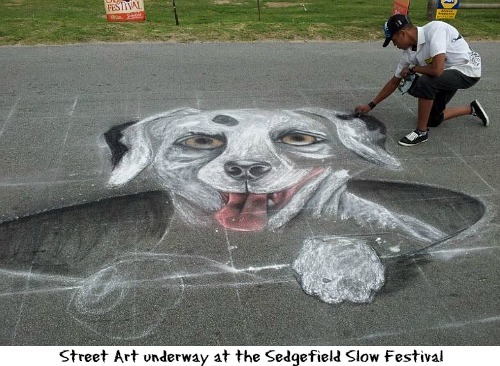 His street art, an exciting form of artwork now popular throughout the world, was on display at the Sedgefield Slow Festival and the KKNK Festival in Oudtshoorn. 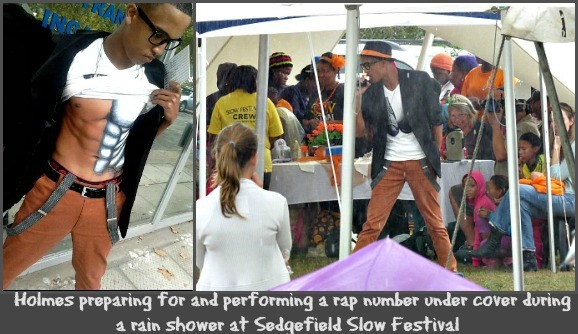 At the latter, Elsibe Loubser McGuffog a photographer from Cape Town spied his talent and engaged with the young man. 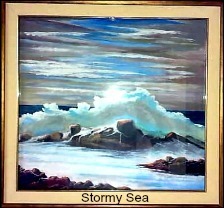 Impressed with his work, she has recently bought one of his paintings. 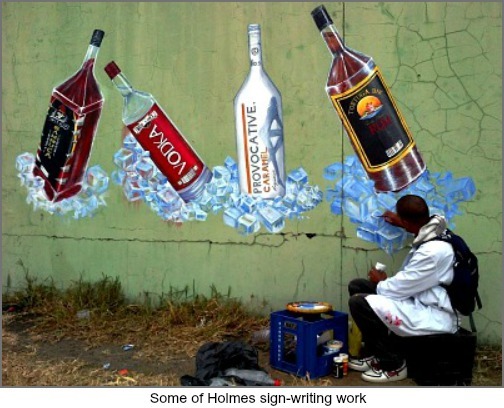 For a short time Holmes was employed by Outeniqua Bottling Company in George as a signwriter where he could use his creative flair in work he was getting paid for. He was encouraged to obtain his driver’s licence so he could drive himself to his sign-writing appointments. He is determined to study further and to qualify as a graphic designer. 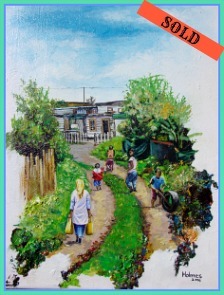 To this end he is working on several endeavours to earn money. 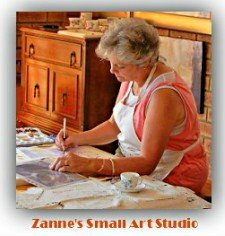 In his spare time he continues to paint, producing better and better work some of which I'll be showing in the right-hand column on this page. You can contact him directly on the number below if you're interested. And…..he is using his ability as a rapper of note to offer his services for special occasions like 21st birthdays and Matric farewells, etc. I wish him every success and believe - "The world awaits those with purpose, determination and the imagination to manifest their destiny!" UPDATE - He's made it-YAY! 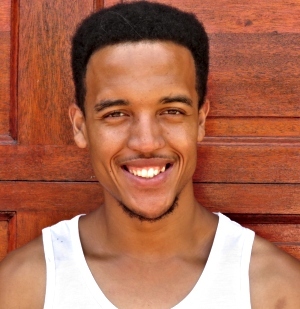 After a completing a grueling multi-faceted portfolio in August 2013 that examined many aspects of his artistic capabilities, Holmes was accepted by the Cape Peninsula University of Technology to study Graphic Design in 2014. 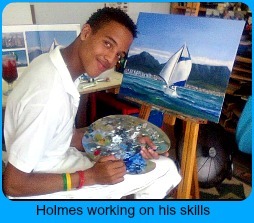 This 3 year diploma course is an opportunity for Holmes to earn a qualification that will change his life. He received some sponsorship that got him started. He attended the welcoming address on Bellville Campus by the Deputy Vice Chancellor of the University which is compulsory for first year students. Prof. Anthony Staak advised the students that there were 30,000 applications this year of which only 8,000 could be accepted. 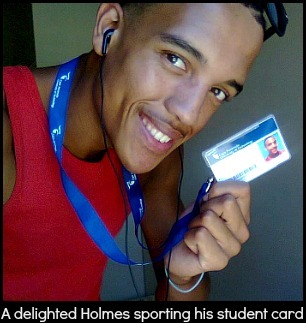 It's apparent it was quite an achievement for Holmes to be accepted to study there. The Prof said that all students should understand the privilege it is for them to get this opportunity and to apply themselves to their studies so that in due time, they can make a meaningful contribution to society. The Orientation week that followed 27 – 31 January introduced new students to all the facilities and support services of the university so they can make the best of their academic year. The first term started on 3 February and so far Holmes is loving every minute. Only advised in January 2014 that his application had been accepted, it was too late to appeal for assistance through regular channels such as the Mayor’s Bursary fund which closed in October last year. However, our great local NPO Masithandane will be managing a sponsorship fund for him so any business, organisation or individual willing and able to assist with these costs, would be hugely appreciated. Please email: root@weaver.wcape.school.za for more information. 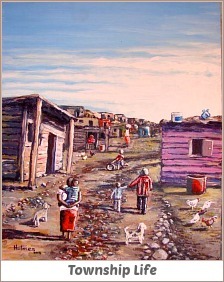 Holmes was surprised and delighted when he was chosen to be featured in the Sedgefield television article filmed for the TV2 travel program, Mooi Loop in October (2014) that show-cases interesting aspects of small town life in South Africa. 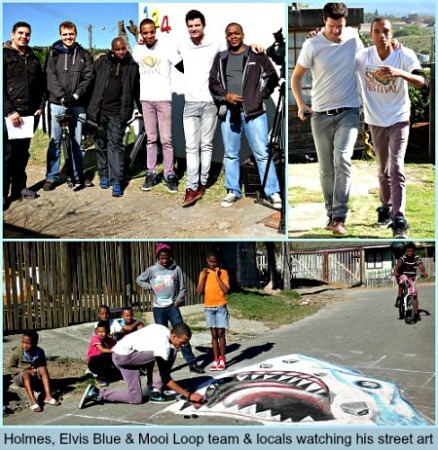 He created some street art of a shark's head coming out the sea for the occasion and was thrilled to meet the team and his idol, Elvis Blue who was co-host of the show on this occasion, who were also invited into his Granny's house to see some of his art proudly displayed there. On a 3 week visit home after his 2nd semester at CPUT Holmes had a busy time. 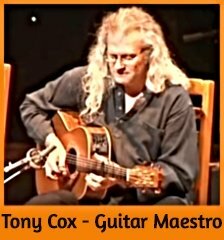 He arranged a benefit concert for himself at Smutsville Community Hall that was a great success. Oh yes, his results were up on his 1st semester and his lecturers are more than happy with him. 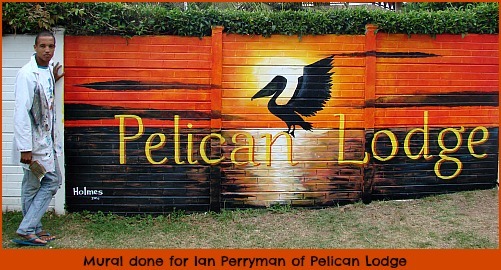 He also did two wall graphics around town - one for Bomber at the Edge and another for Irenes, a local hairdresser. 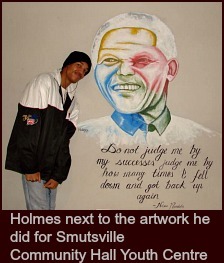 He arranged another Smutsville Rap evening and held an Art Exhibition. 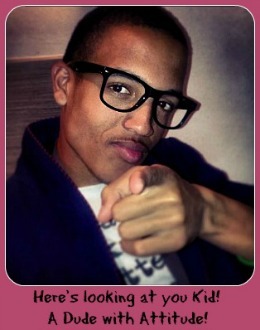 He has been one busy person focused on raising funds to enable him to get back to university for his 2nd year!! 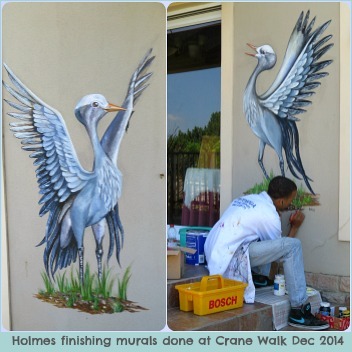 Over the 2014 Christmas holidays, Holmes was commissioned to do two wall murals, one a pair of Blue Cranes for Crane Walk Corner and sunset scene for Pelican Lodge. Having passed his 2nd year at CPUT, personal circumstances forced Holmes to take some gap years in 2016-2017. 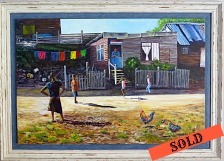 Meanwhile he has prepared a portfolio of 40 paintings for a pending Johannesburg exhibition and has already sold 3 numbered prints of these paintings from the Mosaic Market in Sedgefield. Holmes with 3rd Year class CPUT Graphic Design students working on The Watershed Project for an NGO at Paradise Park in Newlands. 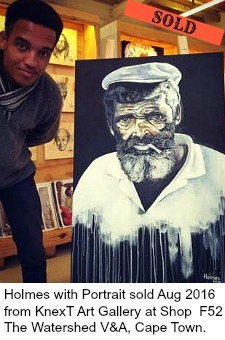 A Cape Town based fashion design company with a social conscience, Rhumaa founded by Daniel Beernink from the Netherlands, has bought a painting of Holmes to use in their core business ideas of "sharing cultures around the world" so gradually Holme's work is getting out into a wider arena, all hopeful signs of a promising future for this young man. 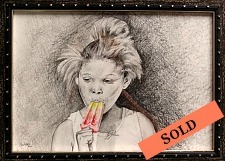 Holmes will continue to freelance doing whatever comes to hand from street art to face painting to digital pictures on consignment and has artworks on display at various art galleries. He began his 3rd year of Graphic Design at CPUT Cape Town in February 2018. 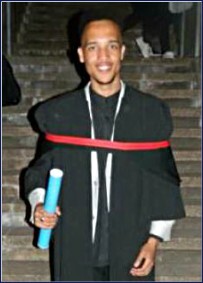 On 10 December 2018 Holmes graduated from CPUT with a hard won Diploma in Graphic Design. 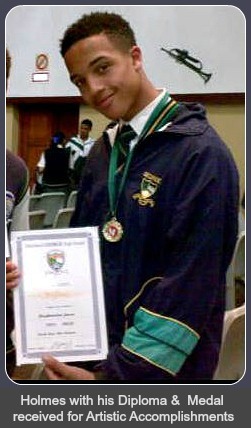 His mother and sister, Whitney and friends in Cape Town attended his graduation ceremony. After coming home for a welcome break and change of pace for Christmas he has returned to Cape Town to take up an apprenticeship with Mark Hilltout. 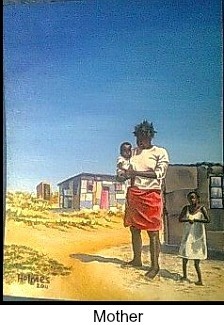 After an international career as Art Director of Ogilvy, New York, Mark retired in Cape Town to create a new artistic career for himself using the medium of corrugated iron. The 3rd year graphic design students visited his gallery in Woodstock and Holmes was fascinated with his work and has taken up the offer of an internship. 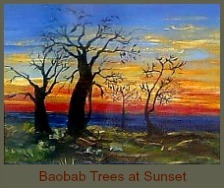 He will however, always be an artist with many irons in the fire. 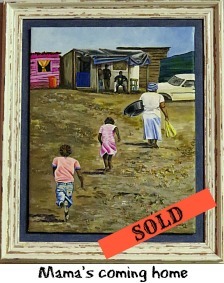 In January 2019 he was interviewed on Fine Music Radio at the Artscape Theatre to talk about his exhibition of 40 pictures called "The Sedgefield Collection" at Art It Is Gallery at 76 Albert Road, Woodstock, that reflects Smutsville people of all ages as they go about their daily life. 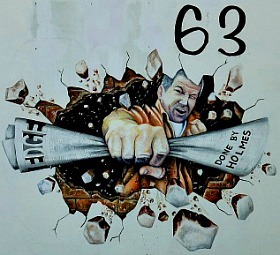 He acknowledges that acrylics has been his favoured medium for art but he uses it in many different ways and being the creative man he is, Holmes will always be open to adventurous ways of expressing his artistic genes and will pursue his future in this regard fearlessly.